"This Denison University Champion baseball t-shirt comes with your traditional baseball logo on both the front left breast. 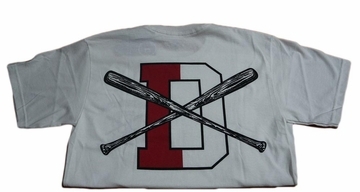 On the back of the t-shirt the D logo with the crossing bats can be found so students can display proudly their team spirit. Champions long lasting quality attests that even after students graduate they will be able to wear this shirt to support their college. Go Big Red! 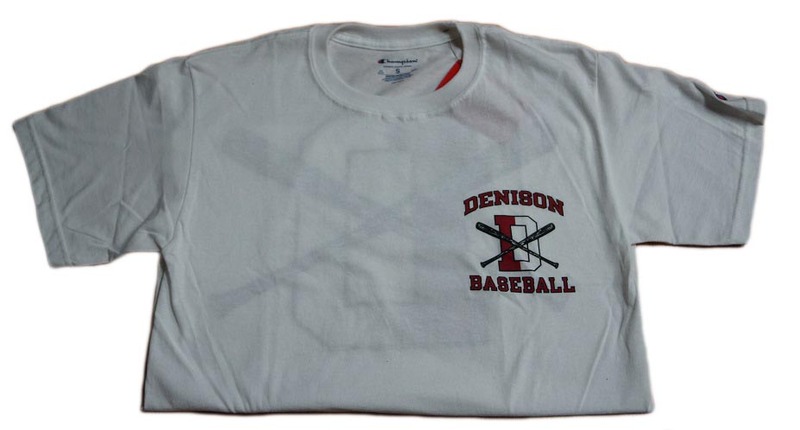 Baseball is the newest hit gear for Denison. The team continues to do well over the years and parents give their full support. You cannot go wrong with a Denison University Champion baseball t-shirt."